The Independent No.1’s compilation is a Pop/Rock/Alt genre compilation CD featuring some of the finest International Independent artists from these genres (and all its sub genres) from around the world, Compiled & Distributed Internationally via major A Class stores and online stores. The Independent No.1's is also supported by W.O.A International media partners and tour partners including MTV/Vh1, Hard Rock Cafe, Times of India and various other media outlets that partner with W.O.A International every year for the Annual W.O.A International Music Festival and W.O.A Records India Tour. The Independent No.1's Vol.3 will also be supported with Advertising and Promotions on Vh1 and MTV who are partnering with WOA International on this album during the 7th Annual W.O.A International Music Festival. All our Independent No.1's artists are going to get some excellent coverage on our promos during the W.O.A International festival and W.O.A Records India Tour along with the expected global PR and Marketing campaign and in-store promotions and distribution at major CD stores worldwide. The Independent No.1's Vol.3 compilation is also guaranteed rotation at major live music venues/clubs in India, Dubai, London and New York, including venues like the Hard Rock Cafe, Troubadour and similar clubs. If interested in the major label marketing and PR support that the Independent No.1's Vol.3 is going to generate then submit your song today. 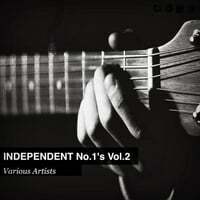 The Volume 1 of the Independent No.1‘s was released on W.O.A Records in 2009 primarily featuring only those artists signed to W.O.A Records and W.O.A Management. However, due to the success of other compilations like the Goa Chillout Zone series and the critical acclaim received for the first volume of the Independent No.1’s CD, the compilation was opened up to accept exceptional artists who do not necessarily have to be signed to a W.O.A Management deal or Record deal. Volume 2 of the Independent No.1s is now launching on 31st October featuring fantastic artists from around the world. Volume 2 of the Independent No.1’s is to be released on 31st October at the 6th Annual W.O.A International Music Festival with the support of all the major media partners including Vh1, Times, global Radio partners and Outdoor print media partners. If you have a song that fits into a Main Stream or Indie genre and any sub genre of the POP/ROCK/ALT/AAA/BLUES and COMMERCIAL DANCE MUSIC Genres and if you missed out on the Vol.2 you can now submit for Volume 3 of the Independent No.1s Vol.3.